The National College of Art and Design acquired the former Fire Station on Thomas Street. The Fire Station building, a protected structure built in 1911, is located between the college’s Distillers House and Administration Building, all facing onto Thomas Street. 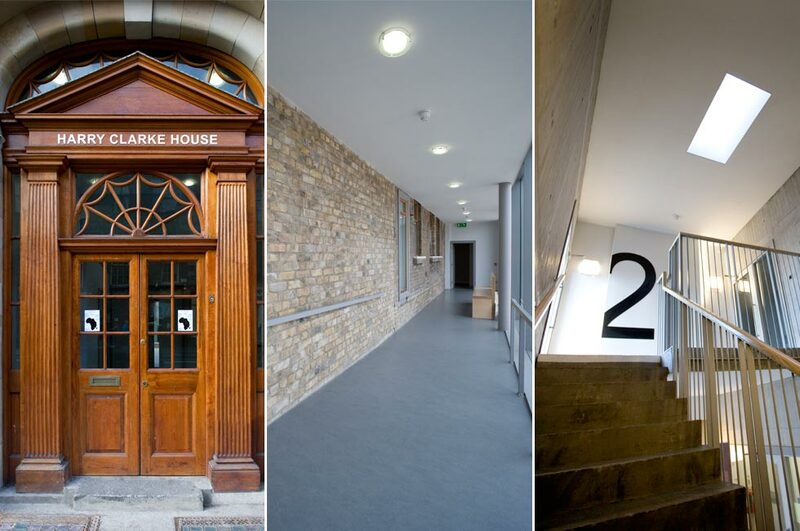 The initial brief was to provide additional academic and staff facilities for the college within the former Fire Station. 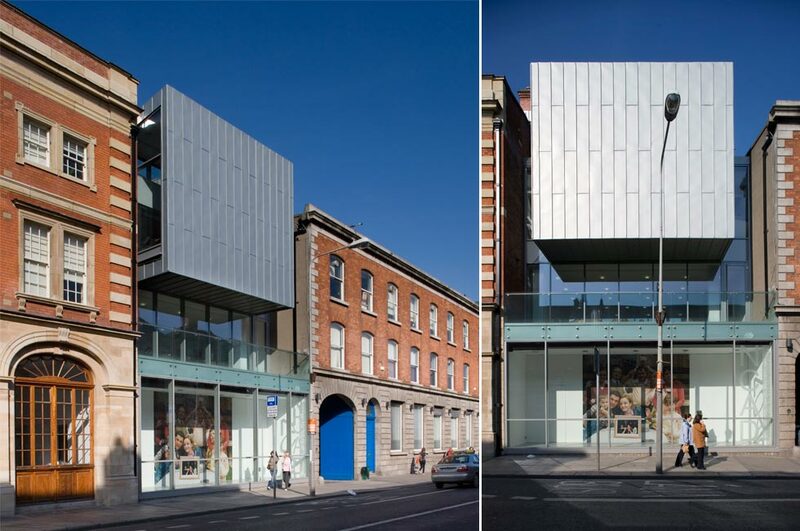 The development incorporated the careful restoration and integration of the façade and roof of the former Fire Station in addition to linking the adjacent buildings to improve access and accessibility throughout. The architectural solution achieves a number of key goals. 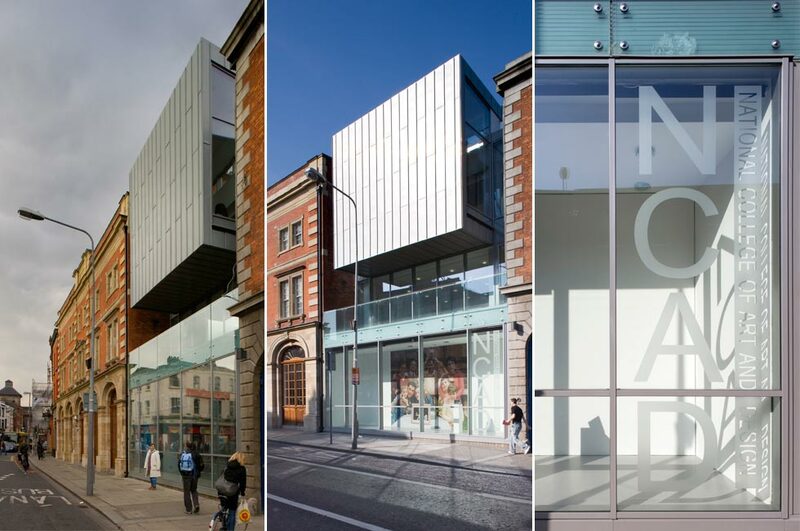 Firstly a new formal entrance has been created for the NCAD campus presenting the College onto Thomas Street. 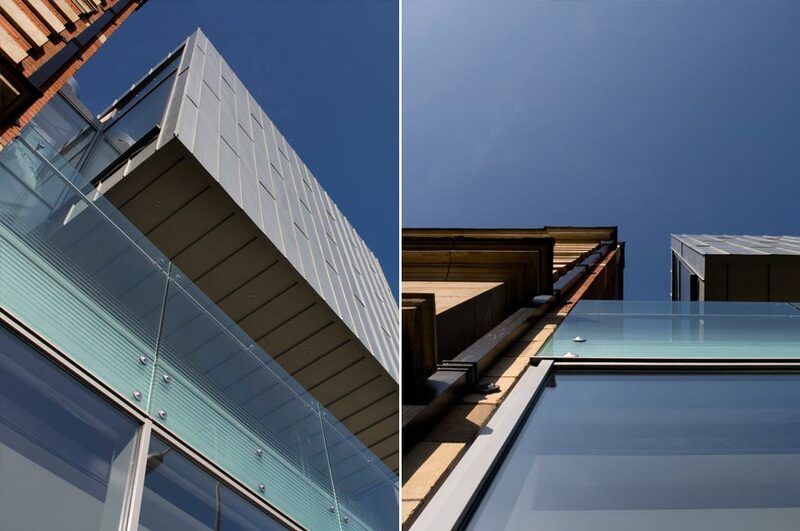 In addition, there is a coherent dialogue between the upgraded existing buildings and the newly extended elements both architecturally and within the extended internal circulation routes. 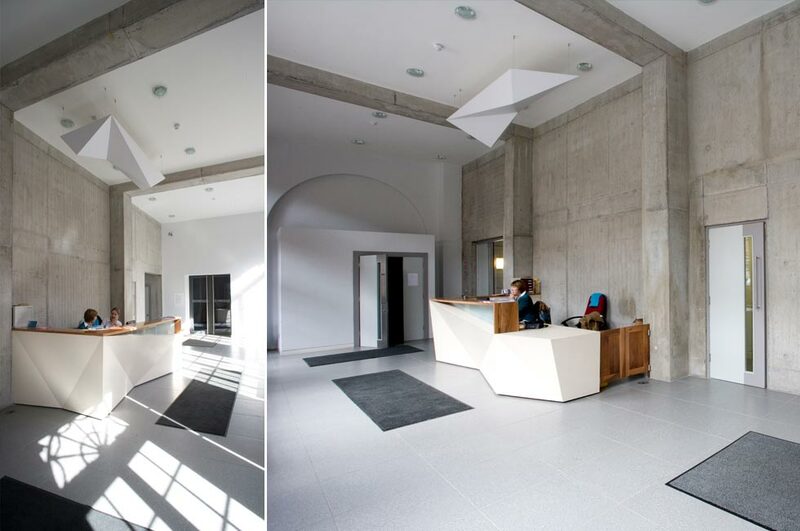 The project also provides essential new facilities for the college in terms of lecture rooms, staff room and facilities and a badly required new gallery space within a relatively small building footprint. A decision was made to partially remove some of the rear walls of the Fire Station and provide a new small corridor link outside the original building envelope. The original roof line was maintained and re-roofed with original and matching slates and some replacement roof timbers added. 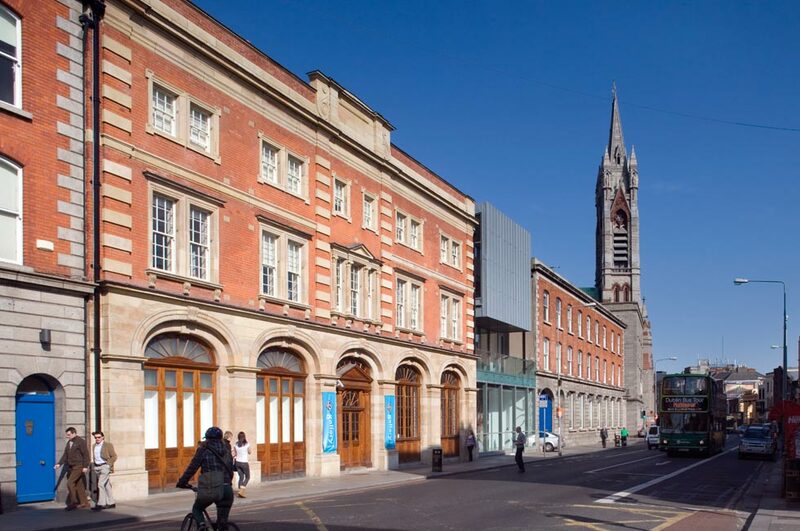 The front elevation of the former Fire Station, hidden for many years behind hoarding, was fully refurbished and repaired to announce the presence of the new campus entrance onto Thomas Street. 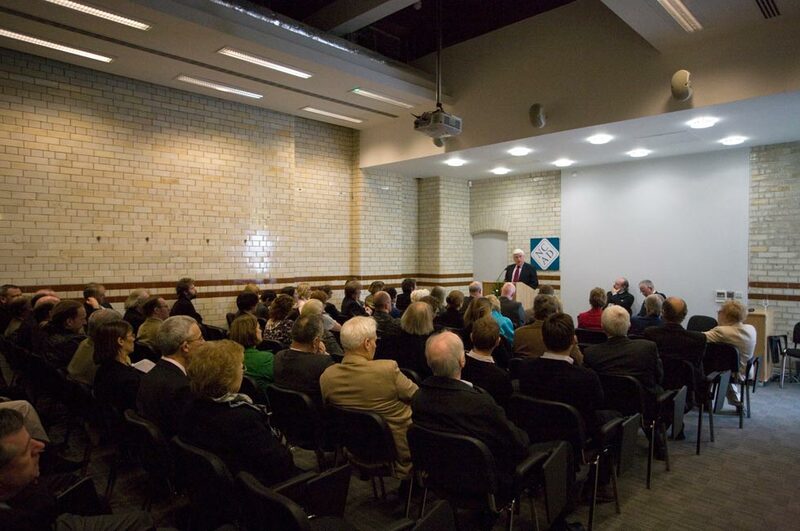 Internally the former Engine Room was converted into a lecture theatre while the original timber ceiling and glazed brick wall finish were restored to their former glory. Total floor area: 1,200 sq.m.